Today’s marketers are faced with an overwhelming amount of ad inventory and audience fragmentation. Customers engage with brands across a variety of devices, through different media channels and at different times during the customer lifecycle, generating data with each interaction. Programmatic buying helps marketers combat fragmentation, enabling them to locate their target audiences and engage with them when they’re most receptive. Introduced in 2009 as a way to make it easier for ad networks to secure select inventory, real-time bidding (RTB) is a programmatic strategy for trading ad space in real time. Sellers hold an auction for each impression, allowing advertisers to assess, price and bid for it dynamically. The tremendous adoption of RTB underscores its importance – and represents a complete shift in the practice of advertising over the past few years. According to eMarketer, U.S. advertisers will spend more than $3.36 billion on RTB bidding this year, up from just under $2 billion in 2012 and less than $1 billion in 2011. eMarketer predicts double-digit increases in spending each year through 2017, when RTB will account for more than $8.49 billion in digital ad spending – or 29% of all digital display spending. RTB has become a powerful marketing tactic for many advertisers because it delivers performance, efficiency and the ability to interact with a consumer at the right moment with the most appropriate message, eliminating guesswork and budget waste. In fact, a 2013 study from Econsultancy found marketers claimed an average uplift in conversion rates of 26% from real-time marketing activities. In 2007, MediaMath made industry headlines when it introduced the first demand-side platform (DSP), creating a more efficient way for advertisers to reach consumers individually and at scale using RTB. Today, MediaMath continues to innovate in the industry by offering tools for digital ad buying, data management, creative optimization, and other aspects of digital marketing through its TerminalOne Marketing Operating System™. Unique to MediaMath, TerminalOne provides marketers with complete control and transparency into their digital marketing efforts across all channels. It enables marketers to focus on goals, not guesses, and understand the decision-making and economics behind every buying decision. As a result, marketers can activate data and optimize marketing efforts that incorporate RTB across the enterprise for increased efficacy and efficiency. “Marketers are most interested in the ability to take immediate action to engage with a consumer at the most optimal time; to enhance a customer interaction at the point of decisioning to deliver the desired outcome. This immediacy is the new norm; consumer signals and data insights are often less useful if not acted upon within a short period of time. And although we’re living in a real-time, programmatic era with greater efficiency, there still cannot be a one-size-fits-all strategy,” explains Greg Williams, Co-Founder and SVP OPEN Partnerships at MediaMath. To that point, a key benefit to working with MediaMath is its speed –an average response time of 40 milliseconds. 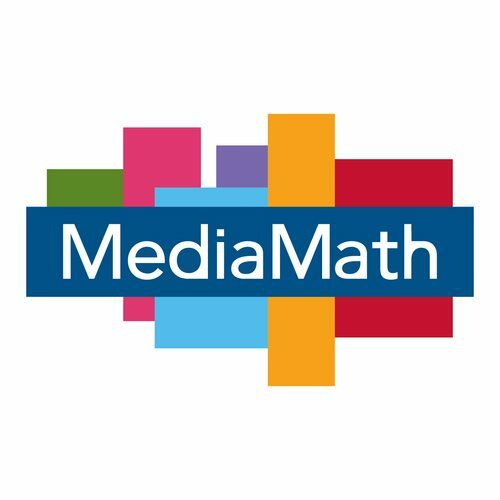 According to the company, MediaMath processes 1.4 million queries per second and more than one quadrillion data variables per day. While keeping in mind that each advertiser is different in terms of strategy set-up and user base being available on biddable RTB inventory, MediaMath says it’s able to hit almost anyone that’s visited a site instantly. Without such real-time insight, marketers may miss out on the opportunity to connect with a consumer when they’re most engaged. With MediaMath, marketers gain insights into consumers that can be applied even before a new campaign. MediaMath is one of Signal’s longest-standing Certified Partners and one of the first to recognize the benefits of working with Signal’s Server-Direct integration, which allows MediaMath’s platform to receive data from its clients’ sites without having to load code into the browser. Signal’s Server Direct provides partners with faster, more efficient and scalable access to advertisers’ data from Web sites, mobile and beyond. “What first attracted MediaMath to Signal’s technology was its ability to streamline the collection of data from the various channels where consumers can be found, including mobile, web, in-store, CRM, social, etc. Integrated into Signal’s platform, MediaMath can pass that value to customers who wish to apply this intelligence to their campaigns, helping them drive greater marketing performance,” adds Williams.